WHAT GROUP SHOULD MY CHILD BE IN? Important safety disclaimer: This post was created to inform families about how to choose a flotation device for safety in recreational use. Using a flotation device does not drown-proof you or your child. For information on how to choose a PFD for specific water activities, please visit this article. Before we start, remember that nothing replaces the effectiveness of constant supervision of your child in the water. This is a non-negotiable - accidents can happen in the blink of an eye. 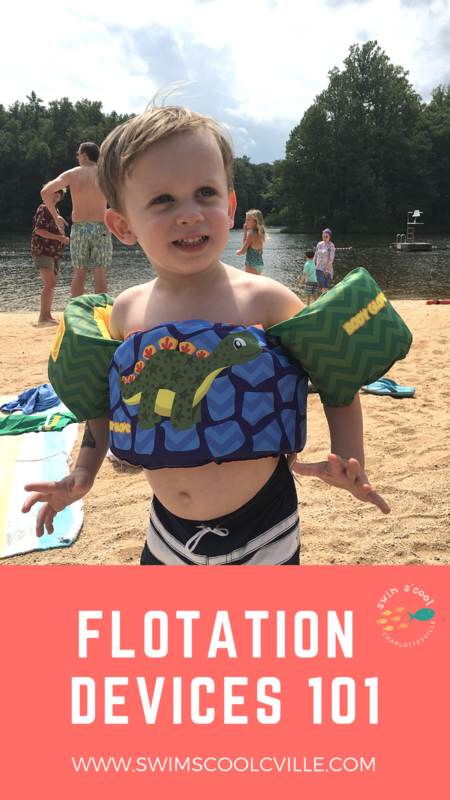 In my daily life as a mom, teacher, and water safety advocate, one of the top questions I get from friends and other parents is, “What’s the best flotation device for my child?” As we approach the warmer, prime vacation months of the year, I hope this post helps you pick a safe flotation device for your family, and also gives you an idea about how we use them as a family to ensure safety and have fun, too! Is the device United States Coast Guard (USCG) tested and approved? If not, it’s a no-go in my book. USCG-approved devices will have an obvious approval label (pictured beside) and have a designated weight range assigned to them. Follow their directions, they know their stuff. Does it fit? As mentioned above, all USCG-approved devices have a designated weight range assigned to them to ensure a secure fit and a proper amount of flotation based on the weight of the child. It should not be too tight, or too loose, and should not slide up or down your child’s body with ease. Most have a weight range that you can get a few years of use out of (our current has lasted 2 summers so far!). This does mean that each season you pull it out again you will need to re-check and see if your child remains in the appropriate weight range. Is the device in good working order? If you’re anything like my family, you throw your summer pool-stuff into the abyss of your storage or basement and it stays there, lonely, until the glorious return of Memorial Day at the local pool. If so, know that it’s possible that through the winter your device may have corroded, become discolored, lost buckles, or became ripped or torn in any transition. Any of the previous is an indication that the integrity of the device is lost and you will need to replace it. A USCG-approved flotation device is used for safety, and not swim instruction. Know that your child will not learn to swim independently if they are in a flotation device at all times in the water. Part of learning to swim safely is understanding your own buoyancy and balance. With a flotation device on, this is difficult to achieve. We like the rule of, “everything in moderation” here. 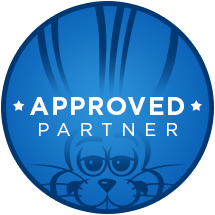 The device will not restrict your child’s ability to swim if the child is also learning to swim with a qualified instructor, or through a qualified swim lessons provider, and is given the opportunity to explore their buoyancy and balance without the device on. Additionally, devices that do not restrict the child’s ability to use their arms and promote a neutral, horizontal body position, are best for children that are also learning to swim. It needs to be mentioned that flotation devices are not only important life-saving tools, but they are also F-U-N! Our 3.5 year old son often prefers to wear his “floatie” so that he can swim in deep water, jump from diving boards or off the side, and play independently without one of us right next to him. As usual, an adult is always diligently watching, but the device gives him the independence he craves and loves. Our rule of thumb here is just to make sure that he has had equal amounts of time with and without the device on in any given week. At least one parent watches the water at all times, even with a lifeguard present. This is a non-negotiable and we take it seriously. If one parent in our family (or our nanny) is not the adult watching the water, our children are in flotation devices. Weekend with grandma? Flotation device at all times. At the pool with the neighbor who we love and trust? Flotation device at all times. We feel that we are the best at watching our own children and recognizing when they are in distress. Our children begin learning to swim early, prior to age 1. Swim lessons are a YEAR-ROUND activity for our family, and appropriate discussion about water safety is a part of our lives. Only USCG-approved flotation devices are purchased for our children. If near open water, on a dock or on a boat, a flotation device is worn at all times. I hope this post was informative and helpful as you prepare to enjoy the oh-so-awaited (in my house!) summer months at the pool. Remember that having a proper flotation device is only one step in a safe experience in and around the water. The more safety steps we take around the water, the less likely a tragedy is to happen. Always watch your child. Always watch your child. Always watch your child. Older PostTop Tips for Bath Safety Month!